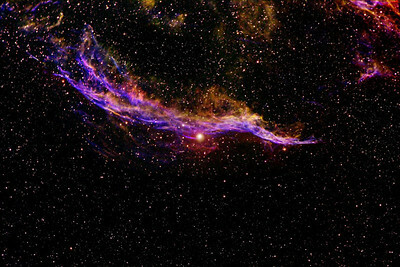 This is a photo of one of the most important processes in the universe...the remnants of a star which has ended its life in a colossal explosion and is scattering the heavier chemical elements it has synthesized during its lifetime back into space, to be incorporated into future stars and planetary systems. 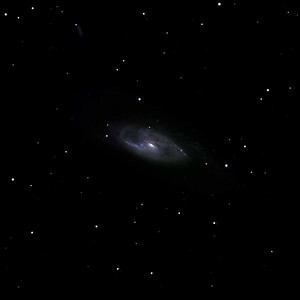 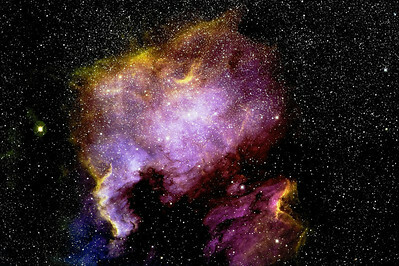 Elements heavier than hydrogen are only synthesized in the interiors of stars by nuclear fusion, with the heaviest elements created only in the enormous energies of a supernova explosion. 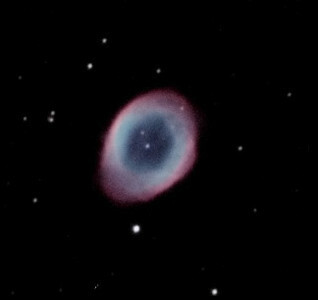 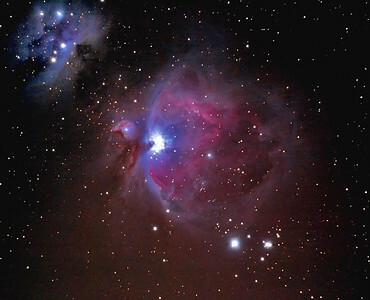 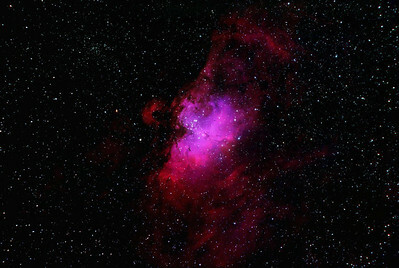 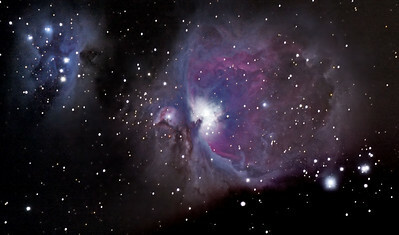 The iron in your blood and the calcium in your bones was created in the interior of a past generation of stars. 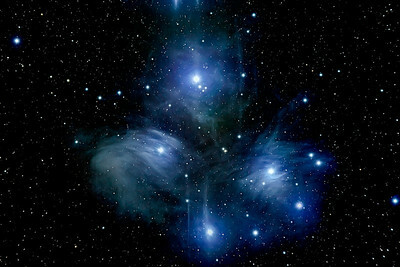 Joanie Mitchell sang in her song "Woodstock", "we are stardust"...we truly are. 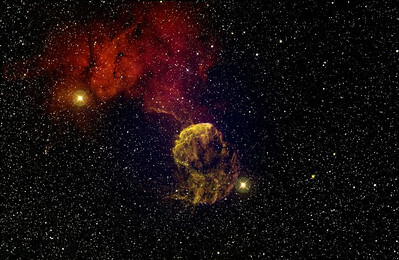 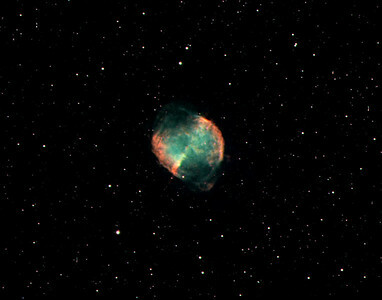 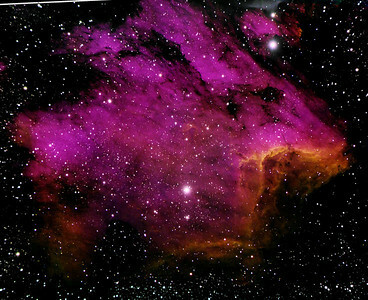 IC443 is sometimes called the "Jellyfish Nebula" because of its shape. 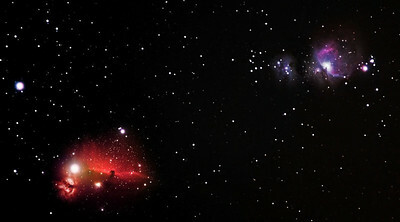 The bright star to the right of IC443 is Propus, a 3rd magnitude red giant that shines with the power output of 2400 suns. 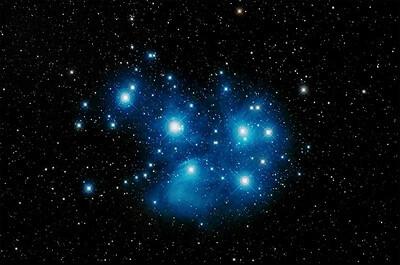 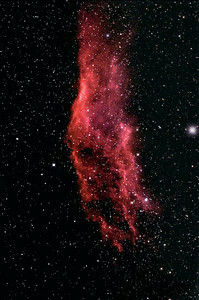 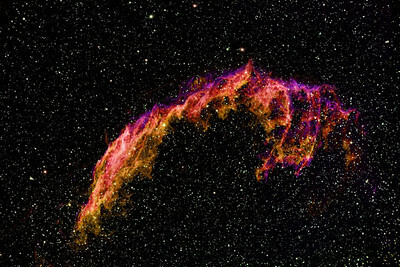 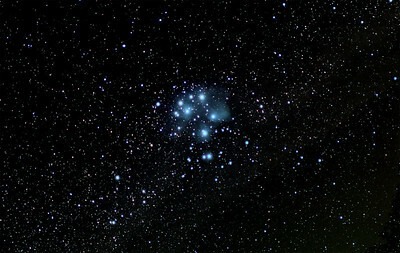 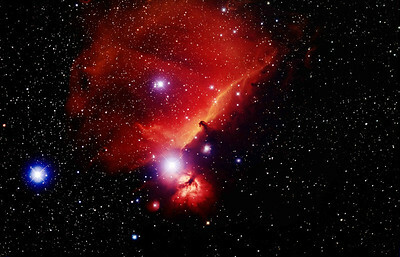 Propus lies in the foreground at 350 light-years distant while IC443 lies at a distance of 5000 light-years. 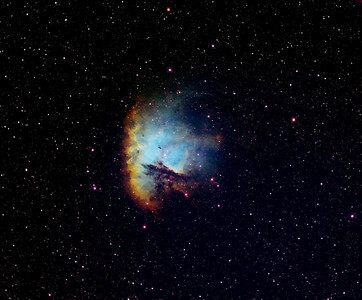 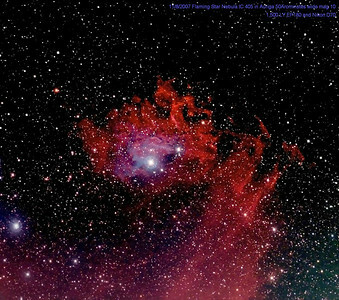 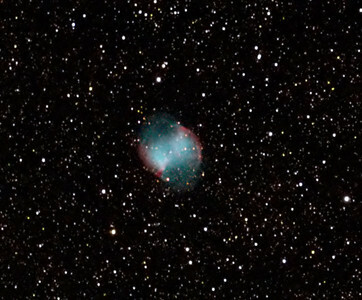 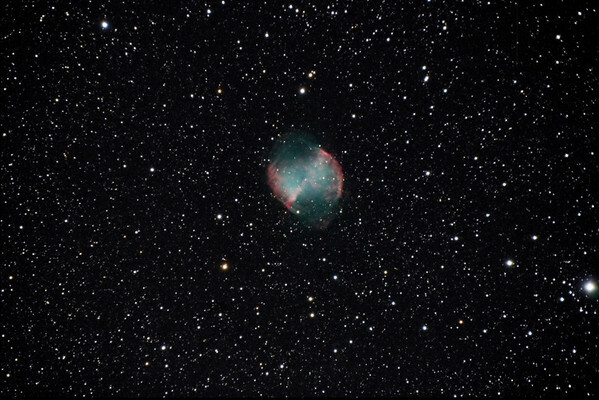 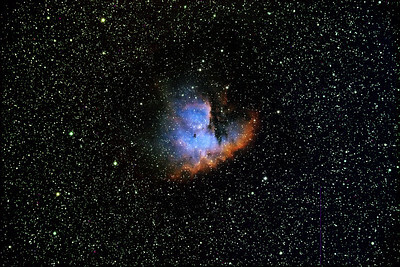 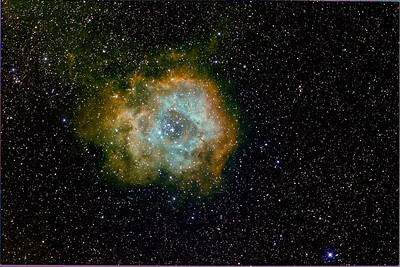 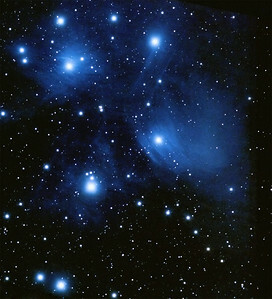 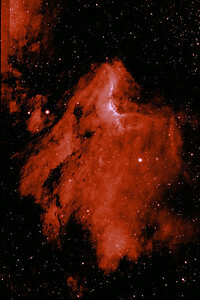 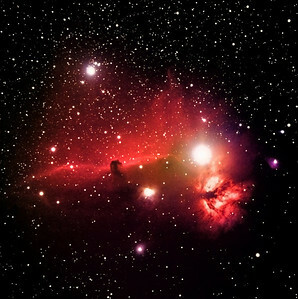 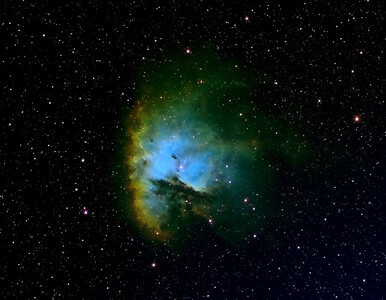 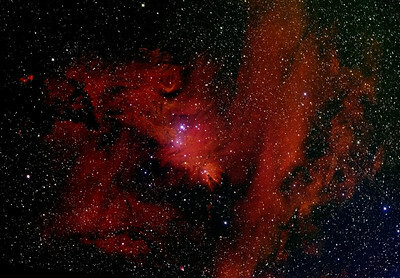 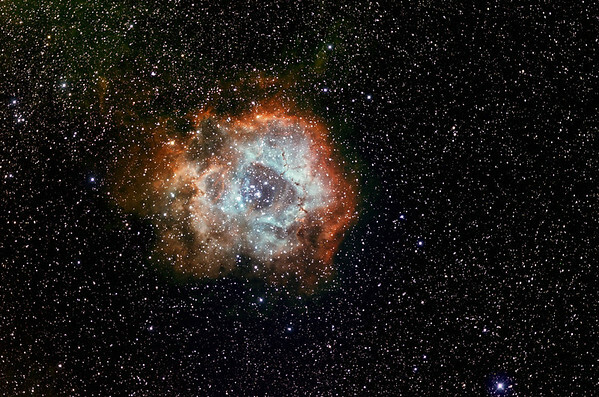 The blue reflection nebula at the upper left and the faint red emission nebula at the left are part of the large IC444 complex which extends beyond this photo.